Advance Computers are part of Epson’s network of independent computer specialists who offer authorised repair services and stock a comprehensive range of the latest Epson products. Based in-store at your local retailer, Epson Express Centres are conveniently located. Open during normal business hours, and within easy reach, it’s now easier than ever to maximise your productivity with Epson. Please note that Epson are unable to guarantee the Express Centres work load, so we advise that you call the store before starting your journey. If you are experiencing a problem, simply visit your nearest Epson Express Service Centre with your product, the ink cartridges installed, your proof of purchase and your warranty details. Our certified Epson Express Centre staff will provide you with a solution. For environmentally friendly disposal, you can return your empty Epson ink cartridges to your nearest Epson Express Centre free-of-charge. 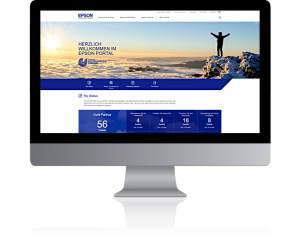 Please click here to visit the Epson Express Service Centre Support portal.